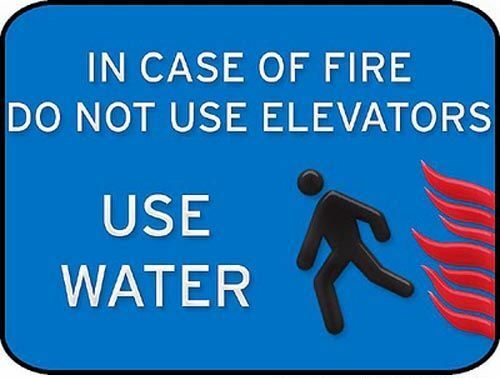 In Case of Fire, Save Writing! A few weekends ago, on a rainy Saturday afternoon, the fire alarm rang in my apartment. I was dressed typically for me on a rainy Saturday, which is a step up from still being in my pajamas, although an admittedly small step. In this case: fleece pants, a faded tank top, and merino wool lumberjack socks, with my hair, inasmuch as my dreads are always “done” since they don’t really change, hanging lank down my back from an earlier shower rather than pulled back or pinned up as I normally wear it. Needless to say, I hadn’t been planning to go outside anytime soon, let alone to stand huddled amongst my neighbours while my building potentially burned to the ground. And my building has had a fire in during the time I’ve lived here … the very night I moved in, no less.